John Marzillier responds to a recent conversation. It was stimulating to read the exchange of emails by Marina Wolpert and Tony Rousmaniere [December 2017] on the topic of failure in therapy and beyond not least because of the format. A preliminary dialogue reveals more than a finished article. The openness and honesty of the exchange stimulates an equivalence in readers, at least in this reader. I can resonate to Tony’s sense of shame at having failed and the huge reluctance to acknowledge this to colleagues. My doctoral research into social skills training [SST] failed to show that this relatively new behavioural therapy worked as I desperately wanted it to. Instead of examining the reasons for this, I completed the doctorate and put it into the back of my mind. Only later when I collaborated with Keith Winter on single-case studies of SST did I begin to tease out why I had failed and what factors might be important in this essentially educational model of therapy. Based on our research Keith and I wrote a chapter on SST for one of the earliest books on failures in therapy [Foa and Emmelkamp, 1983]. Sadly, Keith died not long after in a terrible accident in the Atlas mountains and our collaboration came to an end. I went on to practise as a psychotherapist for 37 years during which time I had my share of failures. It was these more than my successes led me to publish my memoir, The Gossamer Thread: My Life as a Psychotherapist [Karnac 2010]. Tony rightly points out that in other professions failure is understood and anyone claiming 100% success is likely to arouse suspicion. 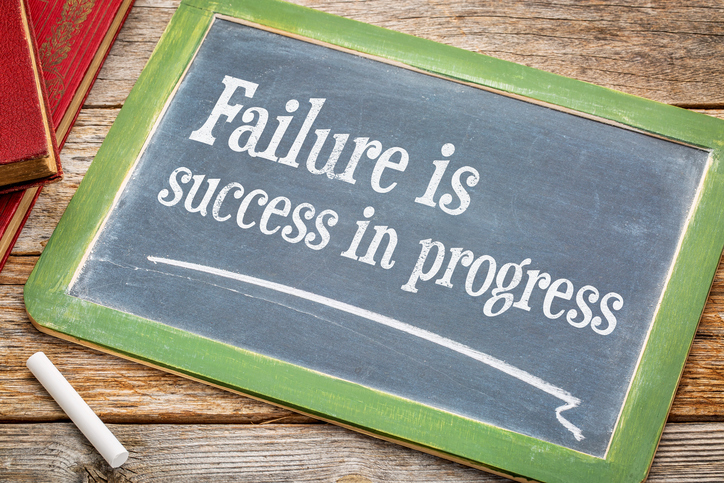 To his list of reasons why failure has been a taboo subject in the therapy world, I would add that it can be difficult to know what success or failure looks like. I used to lecture on the Encounter Group movement that sprang up on the west coast of America in the 1970s. Carl Rogers was the most eminent name associated with these then new approaches. When quizzed about their effectiveness Rogers stated that he would hope that people who benefited would become more aware of their problems and enter into therapy, the converse of what most therapists seek to achieve. Rogers was not being provocative. He had a very different idea mental health from the quasi-medical model that dominated so much of psychotherapy research and, sadly, still does. Implicit in all forms therapy is a set of values about mental health and mental illness. When someone who presents with symptoms of depression, anxiety or PTSD she or he is likely to see herself as ill and seek help to recover. The discourse has been shaped that way by mental health experts, psychologists included, and by the way the NHS works. Therapists often collude in this model, especially when they look to NICE to justify what procedures they can use. Evidence-based psychotherapy, with which I concur, has been distorted to fit the medical model despite the overwhelming evidence that specific techniques are dwarfed by the therapeutic relationship in terms of outcome. In an American Task Force review, specific techniques accounted for only 10% of the variance whereas common factors such as the therapeutic relationship accounted for 30% [Norcross and Lambert, 2011]. Both may be important but the skew towards techniques derives from the dominance of the medical model. For many, depression, anxiety or other psychological state reflects their current condition not an illness. The truth is that anyone’s emotional state is a product of the individual and the environment they find themselves in. A large part of psychotherapy is discovering and exploring these factors. If success is only construed as ‘getting better’, then when that fails, there is no option but to blame something, the therapy or the inexpert therapist or indeed the patient who may come to see himself or herself as a persistent failure. In so many cases success is not the transformation of someone from ‘ill’ to ‘well,’ but a better understanding of why we feel the way we do combined with support for what changes may be made. Perhaps Carl Rogers was not so far off the mark. Marzillier, J.S. . The Gossamer Thread. My Life as a Psychotherapist London: Karnac. Norcross, J C and Lambert, M.J.  Evidence-based therapy relationships in J. C. Norcross (ed.) Psychotherapy Relationships that Work: Evidence-based Responsiveness. 2nd ed. Baltimore, The Johns Hopkins Press.